Before Bob Dylan was the music legend he ultimately became, he wrote a love song to the dairy state, Wisconsin. The lyric sheet for this unreleased piece will today cost $30,000 minimum. Dylan grew up in Hibbing, Minnesota. As a kid, he occasionally went to camp in the neighboring state of Wisconsin. He later attended the University of Minnesota, but dropped out. Shortly after, he moved to Madison in 1960. By January 1961, Dylan moved again—this time to New York City. 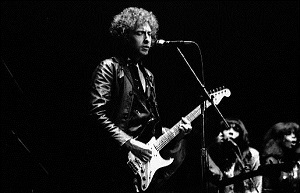 Lyrics to the song fell into the hands of Dylan’s roommate Peter Cargo. Sixty years later, the lyric sheet is “in pretty good condition,” according to Michael Kirk, manager of the Nate D. Sanders Auction that will sell the sheet. The bidding starts at $30,000. Proceeds will go to Cargo, who was also a musician.